1 of only 1 RHD coupes supplied to the UK in 1985 – a genuine factory M491 Supersport. Original Blaupunkt radio and cassette player, electric sunroof, electric door mirrors, heated rear screen, central locking, electrically adjustable seats, headlight wash, front/rear fog lights, intermittent wipers, lockable glove box, alarm/immobiliser, cruise control. The iconic shape of the 1980’s Turbo body must be one of the most enduring automotive images of all time. 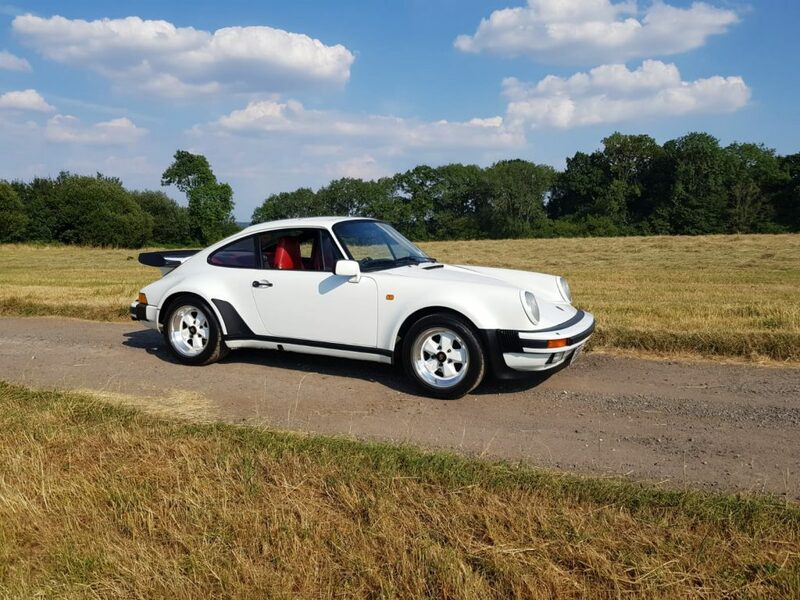 The Grand Prix White paintwork looks solid and even, and it is evident that it has lived a pampered life – the front and rear bumpers have been removed and refinished at some point in the past, to sustain the quality of this rare Supersport’s overall appearance. Smaller details such as the rubber seals, bellows, over-riders, lenses and glass are all in fine order, as are wiper arms, blades and door handles. 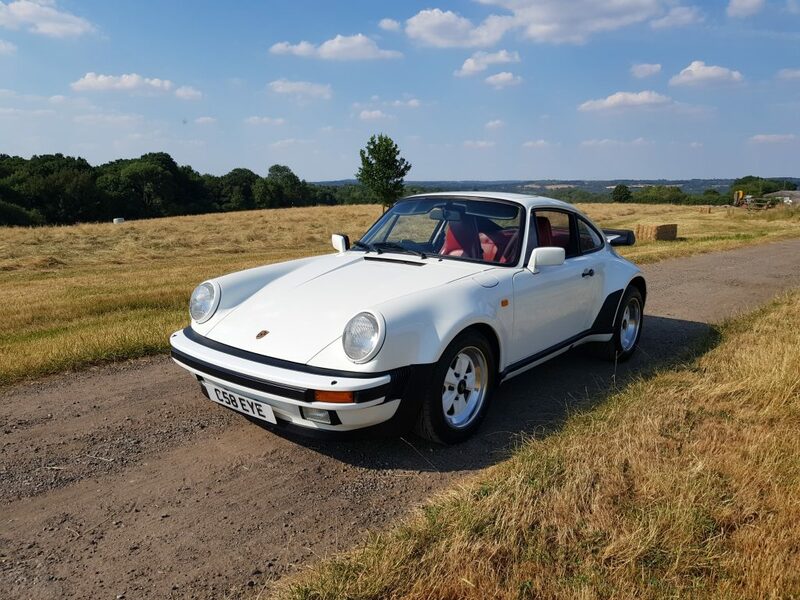 The spectacular Can-Can Red leather interior is certainly the high point of this particular 911, setting a dramatic and stylish contrast against the Grand Prix White exterior and black internal details. Both driver and passenger seats show no more than slight age related patina, with no scuffs, tears or heavy creasing. The folding rear seats are as new! The perforated headlining, door cars, carpets and over mats are unmarked. The leather dash has no splits, tears or sun damage. The only blemish being a few slight abrasions above the steering wheel, caused by its close proximity to the dash in conjunction with – the no doubt rather excessive – 80’s jewelry! All dials and displays are clear and bright. Importantly, inside the front bonnet all carpets are superb and present clean and dry underneath with no evidence of any previous damage. Factory correct space saver wheel with ‘model specific’ Made in Norway stamp (dated 03/85) still has its original brown paper label attached, a clear indication that it has never been used on the road and also the lack of any moisture in the compartment over the many years. Full tool roll, air compressor and dial tyre gauge are all present. Original Fuchs 16″ Alloys all present bright and free from any kerbing. Body coloured centres, locking wheel nuts and new Porsche billet centre caps. Quality Toyo Proxes T1R matching tyres all round with consistent wear patterns. Detailed readings taken and available if required, all above 5mm. 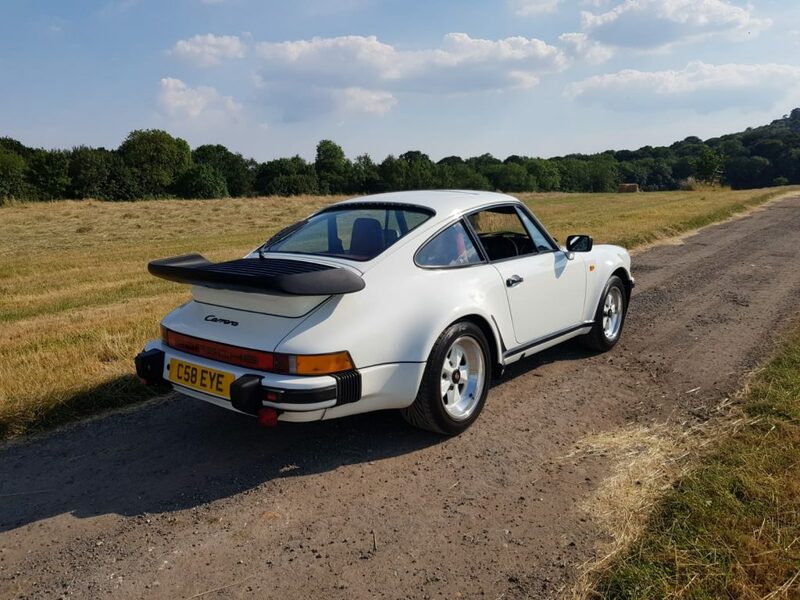 This example presents extremely well having been under the care of its last knowledgeable, engineer owner for 15 years – during which he has lavished, not only considerable expenditure to the tune of £20k, but much of his own time and attention to a rigorous maintenance regime. His professional expertise in this field has obviously paid dividends, addressing most common issues prior to their occurrence. The car has recently benefited from an engine rebuild, new clutch and gearbox rebuild at 103,000 miles by the highly regarded Colin Belton at Ninemeister. 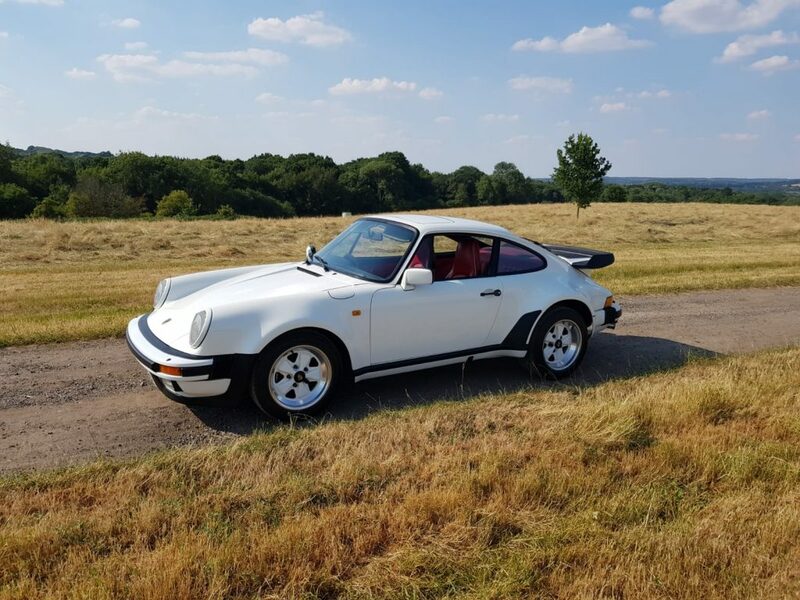 Originally supplied by Howells Motors Ltd, Cardiff on 25th October 1985 this M491 has been maintained by both Main Dealer and renowned Porsche specialists. Mileage intervals: 1124/5883/9662/17,527/22,837/39,451/45,915/46,915/57,265/64,671/78,240/86,092 then annually from 2004, to include oil and filter, brake fluid, air cleaner etc. Just some of the additional work includes: Full stainless steel exhaust system, major manifold parts replaced at 100,245 miles, major servicing at 100,254, 100,992 in 2012, Bilstein sports dampers all round, Bosch air flow meter, both window motors, front caliper rebuild in 2017, new front brake discs and pads in 2018, starter motor, alloy collapsible oil tubes, 2 x door seals, idle control valve, DME relay. All handbooks, owners wallet and both keys are present. 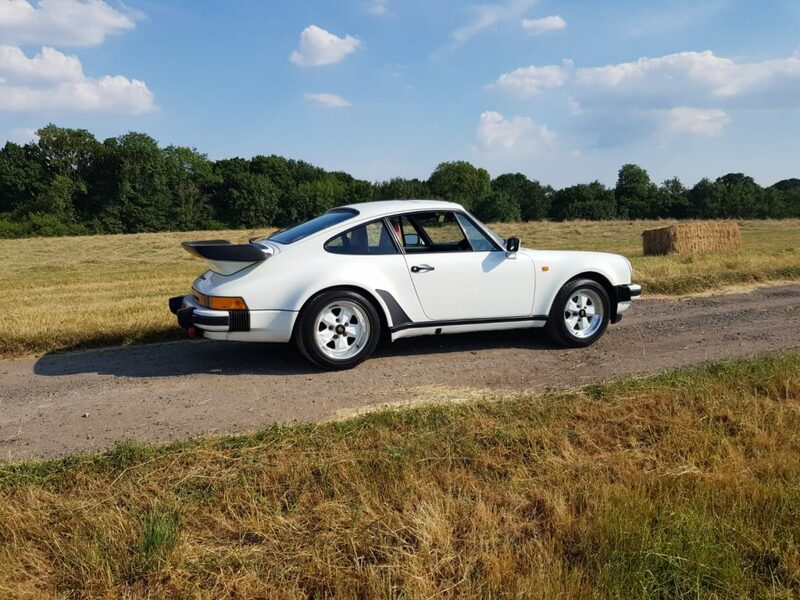 This rare and striking 911 Supersport performs and handles superbly. 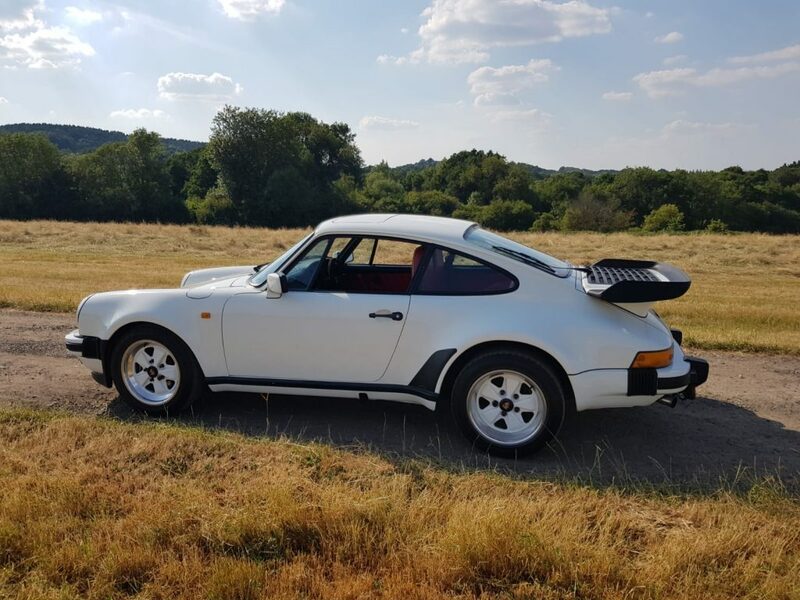 Anyone fortunate enough to experience these glorious air cooled 930’s cannot fail to be impressed with the eager surety this particular example provides. 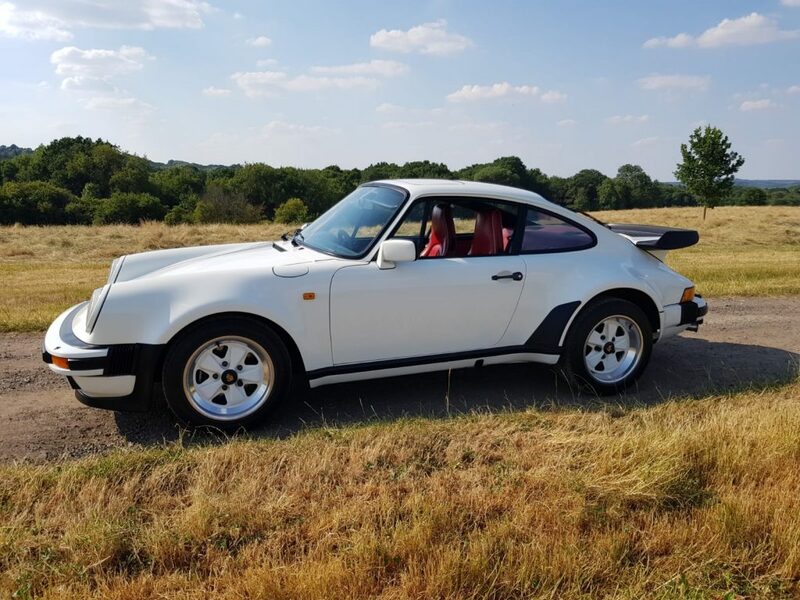 Hustling through the well sorted five speed 915 gearbox, dipping into the higher rev ranges, rewards the experienced driver like no other car can. Well worth mastering. Please contact to arrange a viewing.